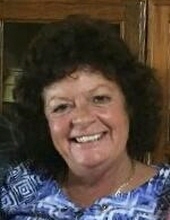 Susan Ann “SueAnn” Presley, 57, of Cantonment, FL passed away on Friday, April 12, 2019. SueAnn was born August 6, 1961 in Oakland, California. She was a member of Highland Baptist Church in Molino, FL where she assisted numerous committees. SueAnn loved her church family and enjoyed participating. She was preceded in death by her son, Sean Johnson. SueAnn is survived by her beloved husband, Gary Presley; her parents, Carl and Jimmie Smith; her two brothers, Jesse Smith, Scott Smith and his wife, Mary Ellen; her stepson, Lance Presley; her granddaughter, Shelby Lynn Presley; her mother-in-law, Hazel Presley; her sister-in-law, Lisa Free and numerous nieces and nephews. A celebration of SueAnn’s life will be held at 6:00 P.M. on Tuesday, April 16, 2019 at Highland Baptist Church. The family will receive friends from 4:30 P.M. until service time at the church. In lieu of flowers, please send donates to Highland Baptist Church ‘In memory of Sue Ann Presley’. To send flowers or a remembrance gift to the family of Susan Ann Presley, please visit our Tribute Store. "Email Address" would like to share the life celebration of Susan Ann Presley. Click on the "link" to go to share a favorite memory or leave a condolence message for the family.